BMX 20" Begin FC Bike Army Green by Fit Bike Co2018 Fit Bike Co Begin Freecoaster BMX The new 2018 B..
BMX 20" Dugan Bike Trans Gold by Fit Bike CoTom Dugan is known for treating his audience to epic bi..
BMX 20" Envy Bike Matt Black by WethepeopleNo words will ever do this bike justice. The Envy has be..
BMX 20" Long Bike Brushed Chrome by Fit Bike Co..
BMX 20" Mac Bike Chrome by Fit Bike Co..
BMX 20" Nordstrom Bike Matte Black by Fit Bike Co..
BMX 20" PRK Bike Gloss Black by Fit Bike Co..
BMX 20" PRK Bike Gloss Root Beer by Fit Bike Co..
BMX 20" Reason Bike Trans Purple by Wethepeople..
BMX 20" Spriet Bike Navy Blue by Fit Bike CoThe new 2018 Fit Spriet complete bike is the perfect all..
BMX 20" PRK Bike Gloss Root Beer by Fit Bike CoThe Fit Bike Co. "STR" 2018 BMX Bike - Gloss Bla..
BMX 20" STR Bike Gloss Matt Clear by Fit Bike CoEver since the series one complete bike came out 18 ..
BMX 20" TRL Bike Translucent Green by Fit Bike CoEntry level trail BMX from Fit. The TRL ..
BMX 20" Trust Free Coaster Bike Matt Black by Wethepeople Introducing The Next Generation. 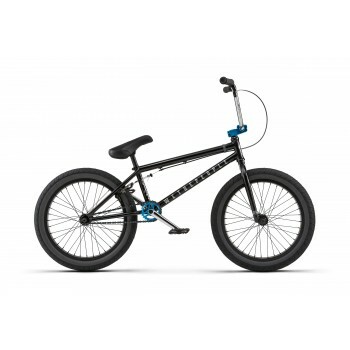 E..
BMX 20" Versus Bike Starlight Black by WethepeopleIntroducing The Next Generation. Every Year That P..